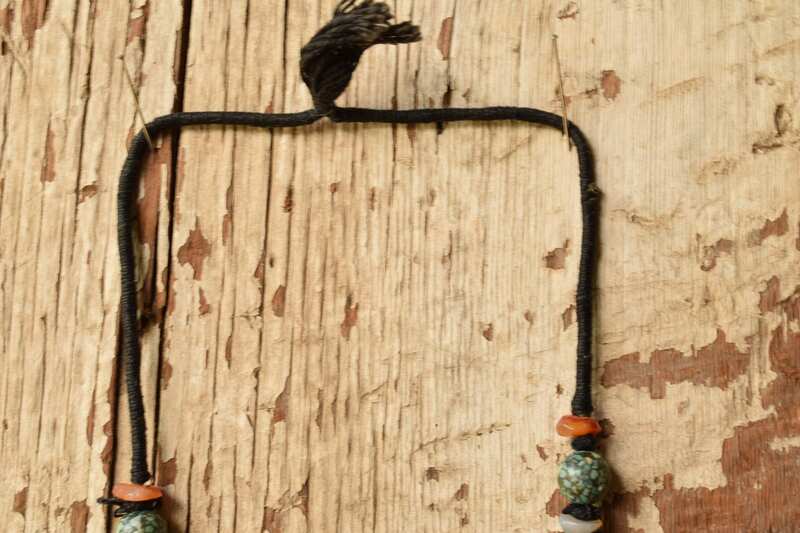 Add this bold beaded necklace to your wardrobe for a totally bohemian look. 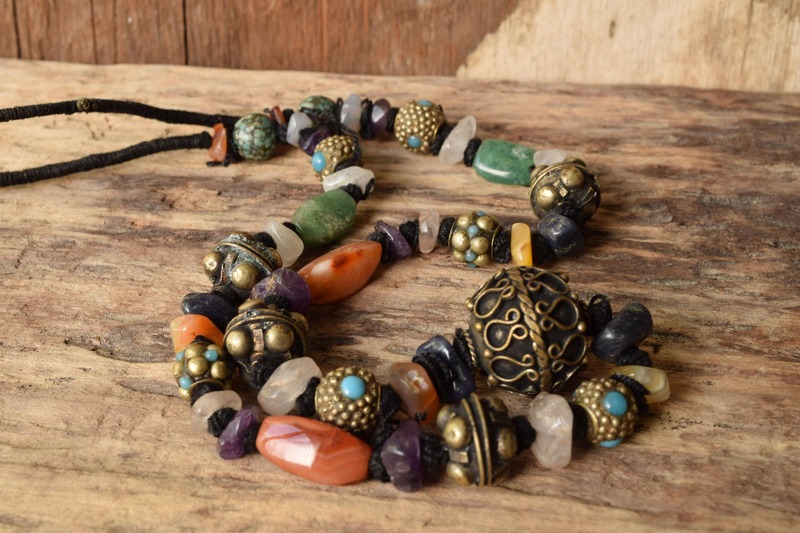 It has brass, tumbled semi-precious stones and inlaid turquoise beads. 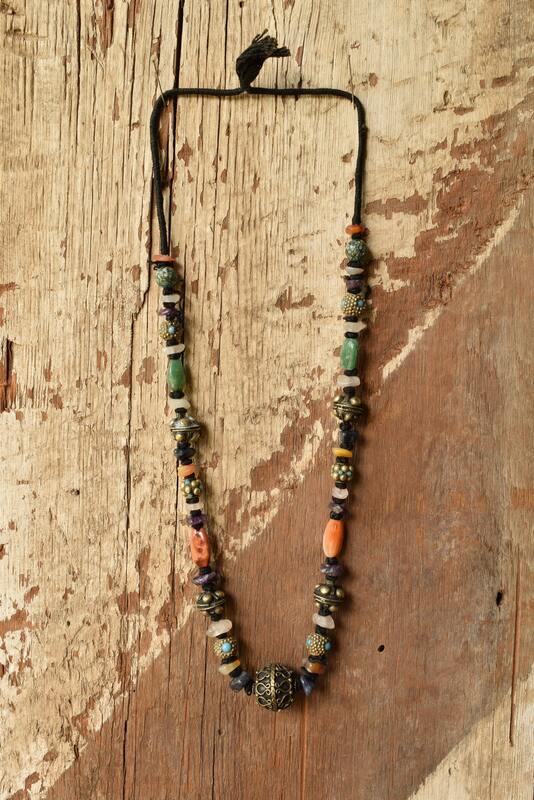 It is hand knotted, wrapped corn and tied at 27 inches, making it a one size fits all necklace. 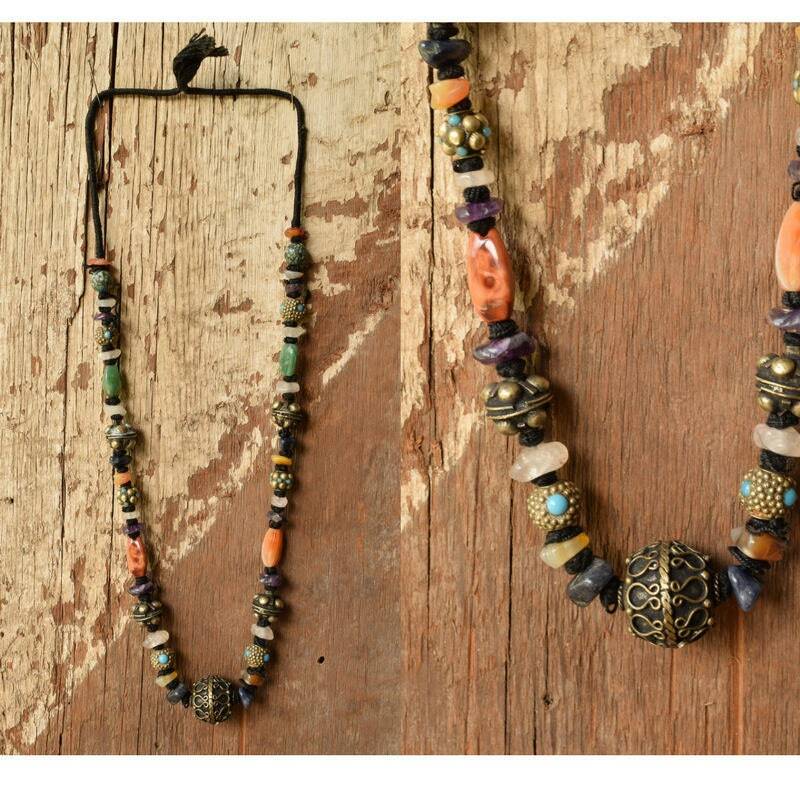 Pair it with your favorite boho dress or a blouse and jacket for a modern style. Condition: Good with some flaws. 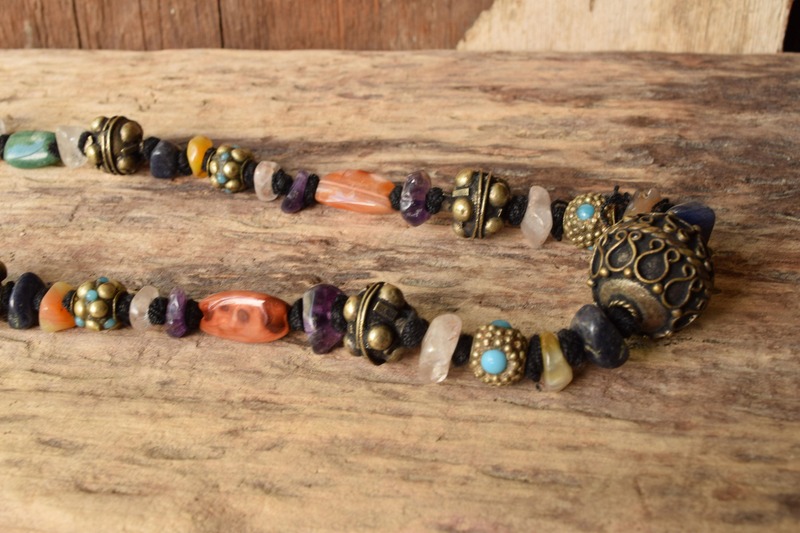 This necklace is previously owned and does have wear. 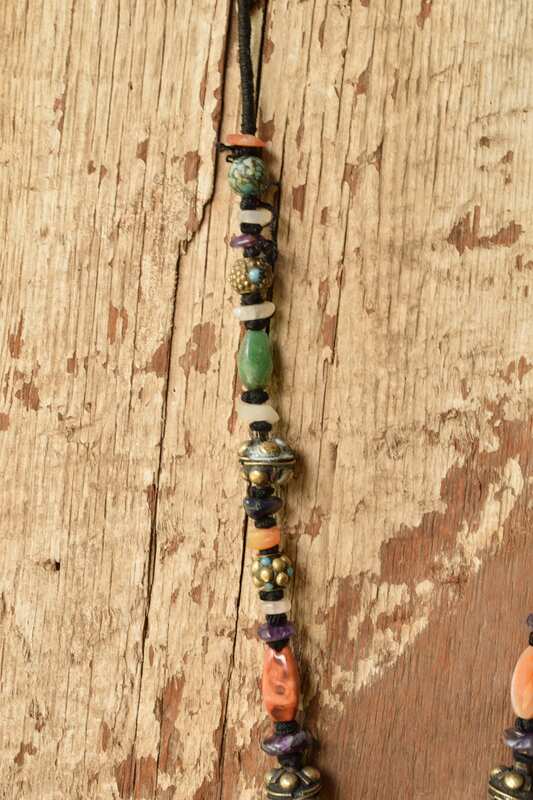 There is visible corrosion on some of the brass (cleaning will be left to the buyer,) Some unraveling of outer wrap between beads. Potential chips, natural cracks or nicks in the stones. 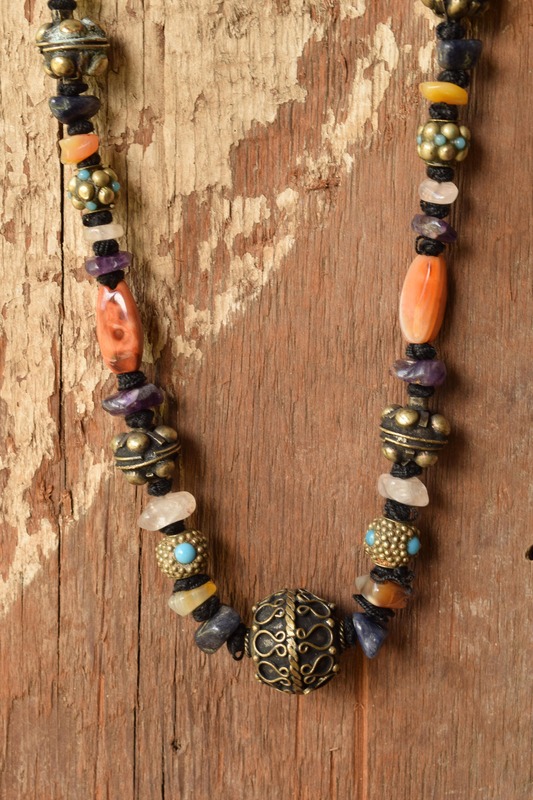 This piece is rugged and gorgeous! Please understand that colors can vary with your screen/device and may not be true to item. 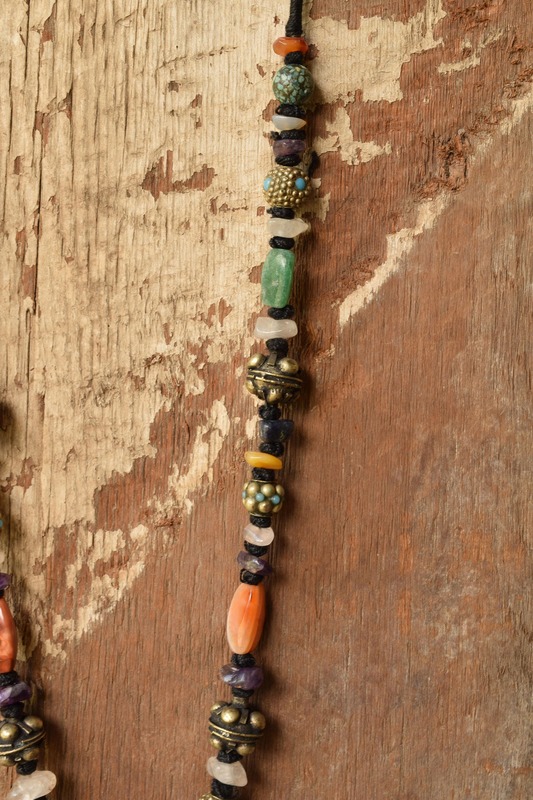 Looking for more bold bohemian picks? 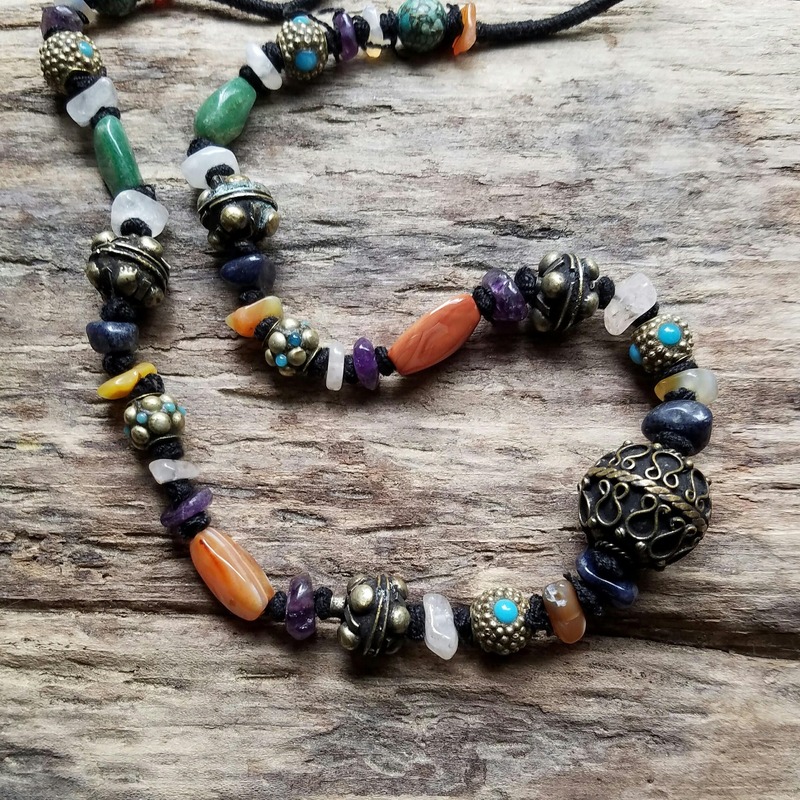 Check out the rest of the shop now!